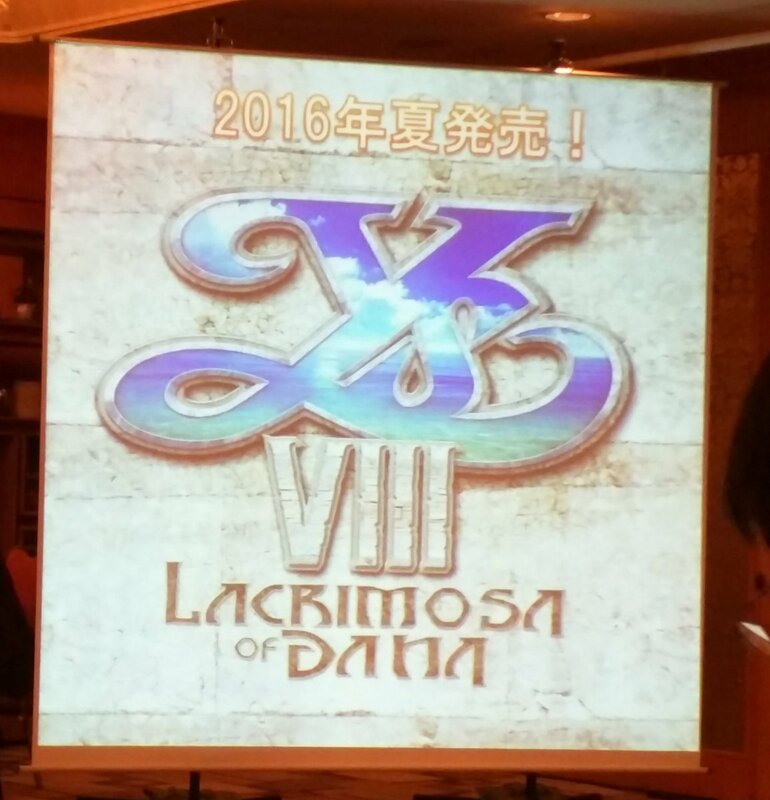 It has been announced for Summer 2016 during Falcom's shareholder meeting which is ongoing right now. The subtitle is Lacrimosa of Dana. Apparently it is also Falcom's 35th Anniversary title. Last edited by Se7enSword; 2015-12-16 at 01:12. More information on the game has come out from Dengeki, 4gamer.net, and gamer. The last Ys title, Memories of Celceta, was released in Japan in 2012 for the PlayStation Vita. 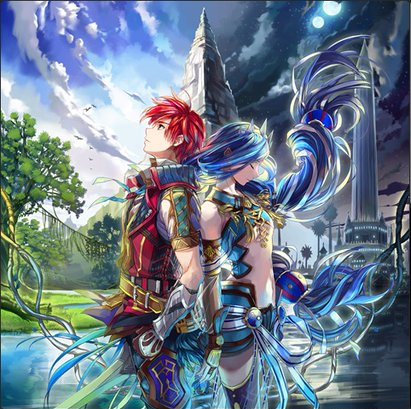 Four years later, Ys VIII: Lacrimosa of Dana is the long-awaited new title for the Ys series. The game takes place in the Goethe Sea, located in southern Greek (the Ys equivalent of our Greece), on the Seiren Island, suspended in the sea’s waters. Adol’s new adventure begins as he travels there to learn about the legends buried underneath those waters. The game will feature a myriad of skills, as well as free-dash and free jump actions. On top of it, Flash Move and Flash Guard will also be making a return. As expected, this game will carry the high-speed action that the Ys series is known for having. 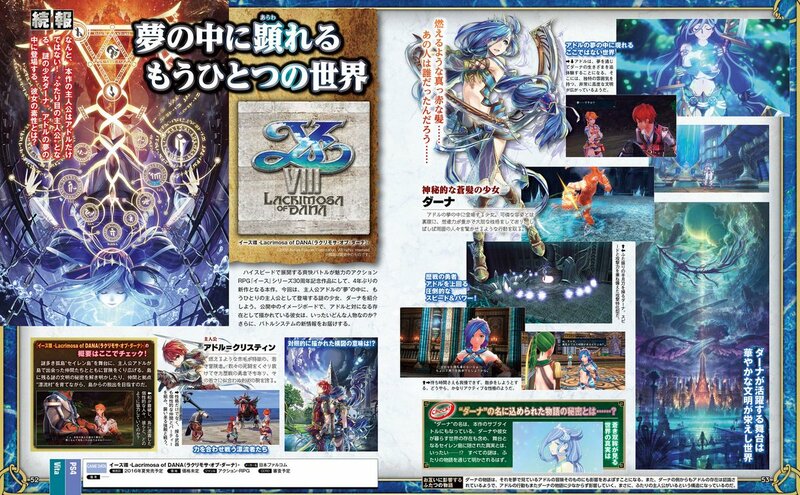 The popular automapping system from Ys Celceta will also be making a return as cartography will once again play a role in the new title. You will seek out drifting villages in the sea and take part in their expansion and development. There will also be campaign battles where you must defend the villages from attacks as well. This new system will bring a new, exciting component to the series. Good stuff. Campaign battles sounds exciting to me. Anyway, looking forward to this, without a doubt! The fact that Dogi's back is already a plus (Celceta's Duren was.... okay I guess, but he's got nothing on the wall-crusher). And I assume the battle system will be based on Tokyo Xanadu's.... for which I hope Falcom can at least improve the camera by the time it's released (though I'd really just prefer a fixed camera like the last couple Ys titles and Nayuta had). At least there's flash guard and move here..
And that guy isn't Dogi. Battle system is an enhance one of Celceta, it has flash guard and dodge along with Jumping and free-dashing. I know many people dislike party and flash guard but I am happy they are in. I don't necessarily dislike the 7/Celceta system - it's just that Oath and Origins were much better. Celceta was also far too easy, even on Nightmare. Last edited by Se7enSword; 2015-12-18 at 04:38. Will post the full interview with screens and stuff when it is out. Notice that the blue-haired girl is alone too! ^Looks great so far! Still a little bummed by the apparent lack of Dogi, though.... those "substitutes" just aren't the same at all. Adol should stop riding boats. It's either he sinks it or went overboard. Wonder what will be the outcome of the blue girl. Judging from the screenshot, i guess the blue 1 belongs to an ancient civilization or future. 19 years old. She uses a rapier in battle. She is the daughter of the noble Roswell family of Garman, and as a noble conducts herself politely. While confused by the lifestyle of the Drifting Village, she works with Adol and company using her profound knowledge of ancient ruins, and plants and animals. In battle she is fast and has good reach, but since she can’t target many enemies at once, she finds herself in trouble when surrounded. Staff Comment: The Garman area is located in the northeastern part of the Romun Empire, and many of its people are made of fortitude and vigor. This is the first time Raksha is meeting Adol and company. By taking advantage of her reach, you can follow up a preemptive attack with consecutive attacks. 41 years old. He uses an anchor in battle. He is a fisherman from the Greek area and has a lovable personality. He works with Adol in order to return to his hometown where his family is waiting. He has high attack power and can attack many enemies at once, but has open spots. Staff Comment: When it comes to playable characters in the Ys series, he is the oldest. He was a passenger on the same boat as Adol. When you attack your enemy’s weak point, they’ll “Break” and all attributes will damage it. Staff Comment: The Break system has an exhilarating feeling about it. We’re planning parts of the game that use the PS Vita touch screen. There is a possibility that Adol and friends will be wiped out by an Ancient attack. Ancients are completely different creatures from dragons and have no connection to the Five Dragons of Altago. Also, the jump action and switching between characters may seem similar to Tokyo Xanadu, but in this game, all of your party members appear on screen. So they kept the 3 type system after all. Not sure how I feel about the break system, could be interesting, could be easier. But the other comment is good at least. 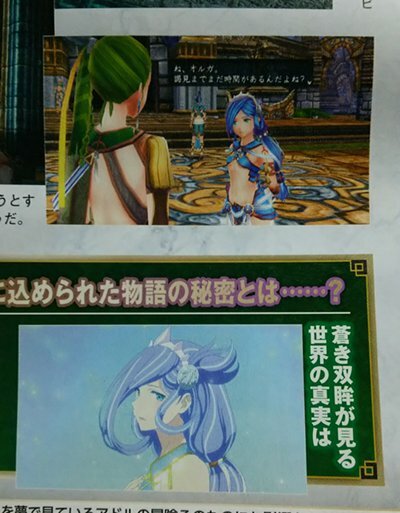 Ys VIII: Lacrimosa of Dana will have two protagonists, the latest issue of Weekly Famitsu reveals. 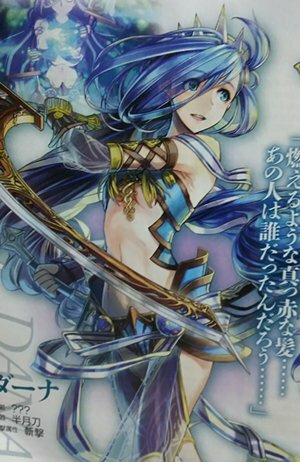 Joining Adol as a protagonist is the mysterious blue-haired girl we’ve previously seen in the game’s key visual, whose name is now revealed as Dana. She appears in Adol’s dreams, and through those dreams, you’ll be able to experience Dana’s way of life. Her power and speed exceeds even that of the veteran hero Adol. Dana’s story, which Adol will see in his dreams, will affect his very adventure itself. Also, Dana seems to recognize Adol, and Adol’s actions will considerably affect Dana’s story. There was strong speculation, and now we have a confirmation! Her power and speed exceeds even that of the veteran hero Adol.